When it comes to the world of business, a recent SCORE study seems to indicate that the struggle for success is gender-neutral. In Parts 2 and 3 of “The Megaphone of Main Street: Women’s Entrepreneurship” data report, SCORE focused on funding for men- and women-owned businesses and mentorship. 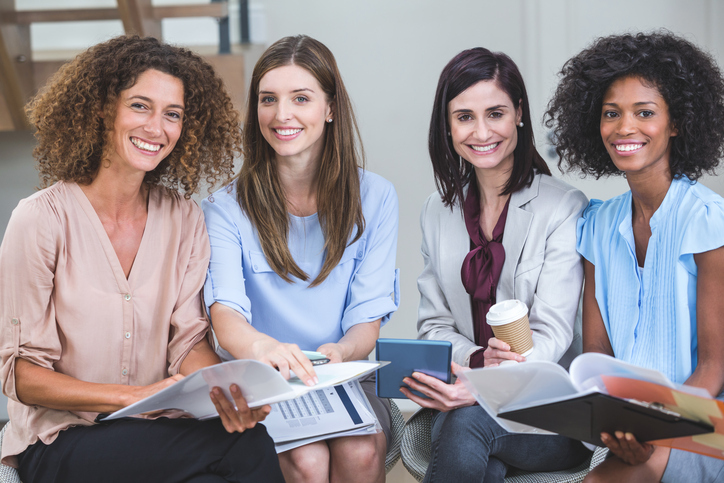 This piece delves into the reasons men and women need financing, their funding sources, the variances between each gender when it comes to financing, and the benefits of mentorship. The majority of men and women surveyed consider their businesses their primary source of income. Sixty-two percent of women entrepreneurs stated that their business is their primary source of income, while 69% of men did. Men were 9% more likely to seek financing than women, and men were 3% more likely to successfully acquire loans or equity financing. Despite men seeking financing more often, women and men sought financing for almost identical reasons. These reasons included, growing the business (59% women, 58% men), helping with cash flow (48% women, 47% men), purchasing new equipment (38% women, 40% men), and launching a new marketing campaign (30% for men and women) among others. The exception being, women were 4% less likely to seek funding to launch a new product than men. There are several funding sources available for businesses. They range from personal savings, credit cards, SBA loans, equity investors and other types of loans. Men and women both struggle to obtain financing for their businesses, and most business owners do not secure any loans or traditional financing. The biggest differences in funding sources between men and women came from credit cards and equity from investors. Seven percent more women reportedly use credit cards as funding for their businesses as opposed to men. Meanwhile, men are 8% more likely to utilize equity raised from investors. The majority of men and women seek funding from a multitude of different loans outside of what was surveyed. SCORE’s report shows that entrepreneurs who seek mentorship significantly increase their chances of success regardless of gender. In line with the rest of the report, mentorship showed to be equally beneficial to men and women regardless of the gender of the mentor. Overall, men and women want mentors who are helpful, good at listening and assessing business issues, provide sound advice, and who are respectful much more than what gender they are. The “The Megaphone of Main Street: Women’s Entrepreneurship” data report demonstrates that the disparities between men and women are extremely slight in all aspects of business. They’re equally successful in their businesses, their financing needs are similar, they seek funding in similar areas, and they work well with mentors regardless of their gender. Check out the first infographic on women-owned business success and the second on financing. We will release one more infographic in May which can be downloaded here when available. If you are looking for an expert business expert to help lead your business to success, reach out today to find a SCORE mentor. We’re an equal opportunity mentorship program!